Office Hours: Monday-Friday, 8:00 a.m.-4:00 p.m., except public holidays. The State’s Attorney is an elected county office that is authorized by Illinois state law, specifically the Counties Code. Each State’s Attorney is responsible for prosecuting violations of applicable state statutes as well as representing the local county government on government-related issues, which includes advising county officials in their official capacities. In order to carry out his or her duties, each State’s Attorney may appoint assistants, as well as employ other personnel, including office staff and/or investigators. 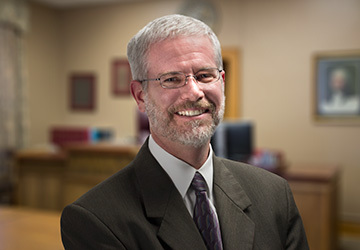 Further, the State’s Attorney works with the Illinois Attorney General and the Office of the State’s Attorneys Appellate Prosecutor on various cases as well.